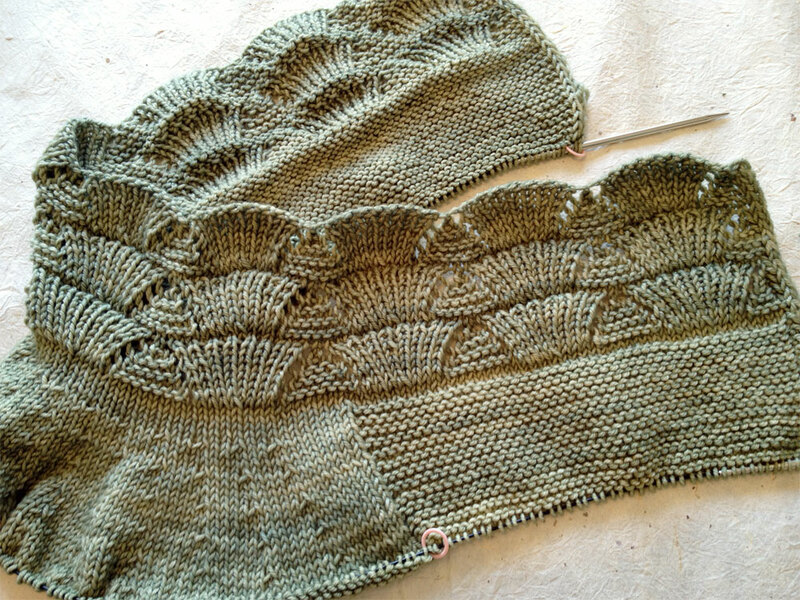 But it looks a great pattern and the silk/wool mix yarn I am using is draping fabulously. Good luck and I look forward to seeing the finished cardigan. I had to take a bit of a break on this one to work on my Ravellenic projects but I’m definitely picking this up again next week. This is my first of her patterns but I know I’ll be doing more. Let me know when yours is done! Good luck! Hello I have finished my Nanook! I am very pleased with it and may make another one day. It is in my Ravelry projects under my name bitstobuy if you would like to see the photos.